Baptisms and Christenings are important days of great celebration for many families. 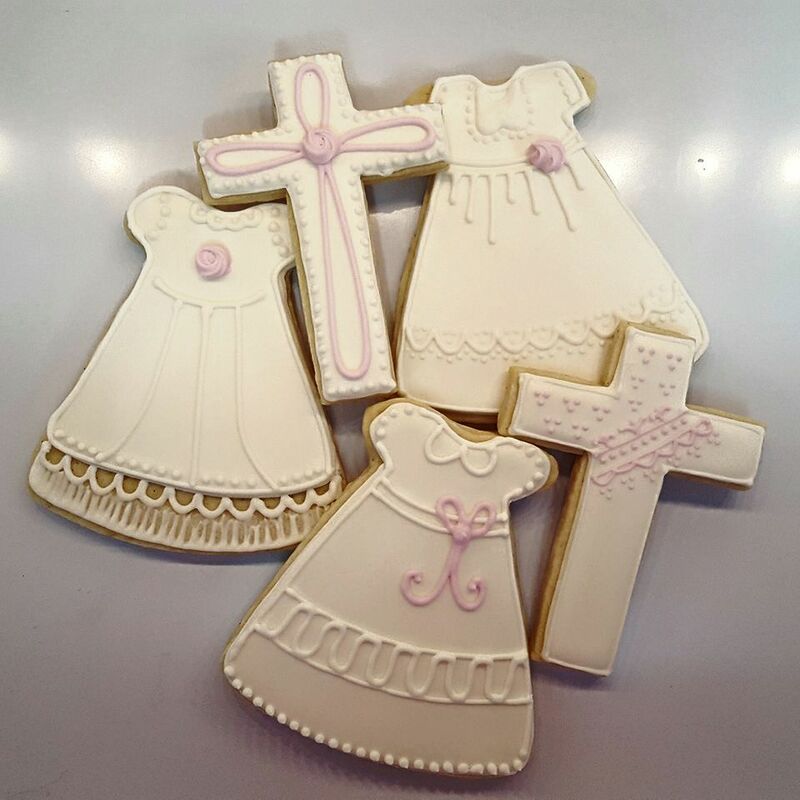 A beautiful baby girl was baptized this past weekend and her grandmother requested some sugar cookies as a surprise to help celebrate the special occasion. She asked for baptismal gowns and crosses with pink accents and I was more than happy to oblige! Thank you, Char, for letting me be a part of your family’s special day!